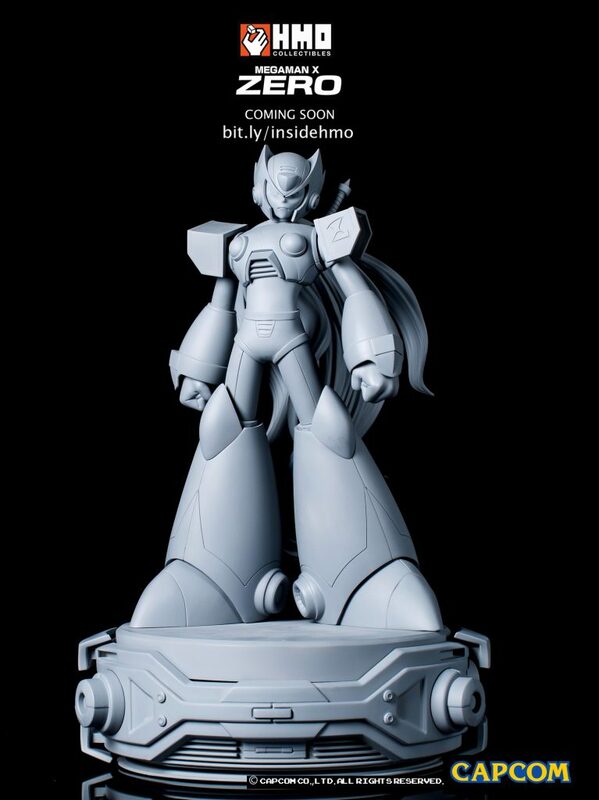 If you liked HMO Collectibles' Mega Man X statue, you've got something new to look forward to! Everyone's favorite red crusader, Zero, is next in line to receive the premium statue treatment. As you can see right now, the statue is just an uncolored prototype. The final version will be 1:4 in scale and includes a "multitude of switch out options to create many display variations of your choice." What does that mean? Well, going by HMO Collectibles' Facebook banner, the statue will have some articulation and interchangeable parts. Pre-orders will be available soon via HMO. In the meantime you might want to start saving up some Zenny – this one won't be cheap! Looks neat. I certainly won't be stepping up the money, though. Too many Zero figures out on the market for me to invest in this. Maybe if it was Sigma. Still, seems like this would be a nice thing to put in your room. Is only a render but there is something off about it like the X figure, they look super high quality but they can nail the sculpture like other companies do. Not gonna lie that thing does look sick as hell. Because I'm more of a X fan than you are.... lol kidding, your right though, price tag is steep. I got a decent tax return so that why but North America won't get it as usual. They shoulda just made it a solid statue without all the made up internal mechanics or whatever, prolly doubled the things price and I don't think many would display it with the leg and arm pieces all opened up. The Zero statue is looking sharp. Investing in a collection of MegaMan would take a lot of financial planning from a business consultant. It definitely won't be cheap. I'll admire from afar.